The human feet come in different sizes and proportions but as the foot ages the flexibility, strength and adaptability is reduced. The purpose of footwear is originally to comfort our foot while doing various activities and protect from environmental conditions like ground textures, temperature etc. Footwear is also regarded as an integral part of fashion, where it indicates the status of the person within a social structure. Besides style, cost and weather types, footwear designs have changed through time depending on culture and function. Millions of women have worn and loved stilettos all their lives. Wearing high heels is like jewelry for the feet, a way of expressing ourselves. Even as we age we do not let go of our precious heels, as giving them up is quite distressing. There are very few who consider shoes for comfort rather than a style statement. Despite having a variety to choose from, modern footwear has proven to be bad for our feet rather doing any good. The designs of modern footwear can distort the foot structure and impair function, which could explain many common injuries. 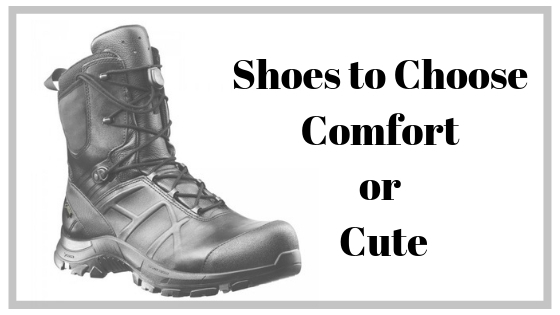 However with research regarding footwear, especially functional shoes is changing how companies such as Honeywell, Adidas, Nike, Skechers, Camel etc are making special kind of shoes category called – functional shoes. With the progress in manufacturing and technology innovation and increasing demand for these shoes globally, they are looking to develop and provide varieties of these kinds of comfortable functional shoes like the other category of shoes. Asia-Pacific has the largest appetite for these shoes, with a market share nearly 52% in 2017, followed by Europe being the second largest consumption place with a market share of 22%. As per this study, in the next five years the functional footwear market will register a CAGR of 2.6% in terms of revenue and the global market size will reach US$ 330 million by 2024 from US$ 290 million in 2019. Recently many brands have understood and seized the opportunity in this market by developing more stylish, elegant and sophisticated choices without compromising on comfort. For heel lovers, certain brands have incorporated in manufacturing an assortment of comfortable heels, such as wedges, platforms and kitten heels giving cushion and ease of walking with every step. To conclude, we are looking for stylish and comfortable footwear to fill the emptiness in our closets. To study and analyze the global functional footwear market, refer to the report on Global Functional Shoes Market 2019.